Rebecca Vinta Caballero peacefully joined our Creator on Saturday, 12th of January 2019, at Calvary Hospital in the Bronx, after months of battling pain, and dealing with cancer for the second time. 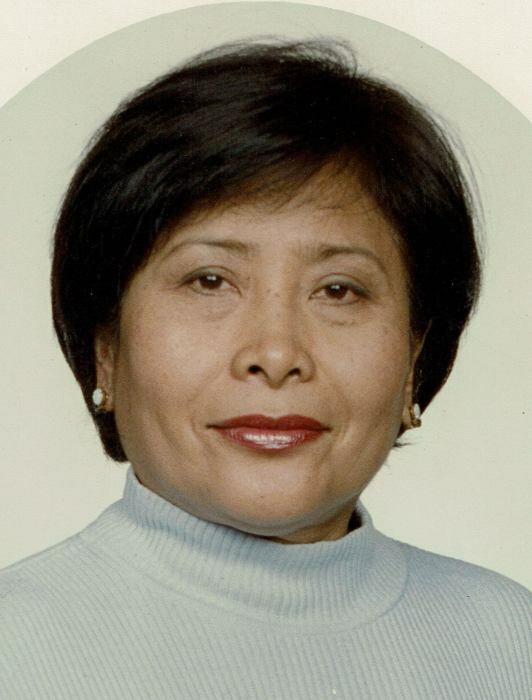 Born in 1946 in Malolos, Bulacan, Philippines, she received her Bachelor of Science degree in Business Administration from Araneta University. She served as a United Nations official for many years, holding posts in Africa, Europe, and at the United Nations Headquarters in New York City. She retired in 2006. She was a long-time resident of Woodside, Queens. She had great passion for world cuisines, traveling, and being active in social events. She had a wonderful smile that could light up a room wherever she went. She was a blessing to everyone whose lives have been touched by her affectionate soul. Her beautiful life will always be cherished by her siblings Violeta Untivero, Reynaldo Caballero, Esmeraldo Caballero, Patria Maclang and Magdalena Buenaventura, and all her nephews, nieces, grand nephews, grand nieces, and her beloved friends. Visitation will be held at the Kennedy Roth Funeral Home, 41-45 58th Street, Woodside, N.Y. 11377 (www.KennedyRothFuneralHome.com) on Thursday, January 17, 2019 from 5:00 p.m. to 9:00 p.m. only. Additional funeral services and burial will take place in the Philippines.